BondFX is a unique two part Platinum silicone coating that can be brushed or sprayed over Tin Base Silicones, rendering the surface paintable with FuseFX Platinum Silicone paints. Yes, you read this right! FuseFX can now be painted over Tin Base Silicones!!! 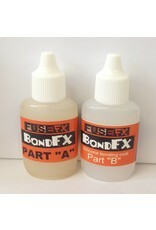 BondFX - for painting, surface preparation, encapsulating gel filled appliances or for reparing seams in silicone. 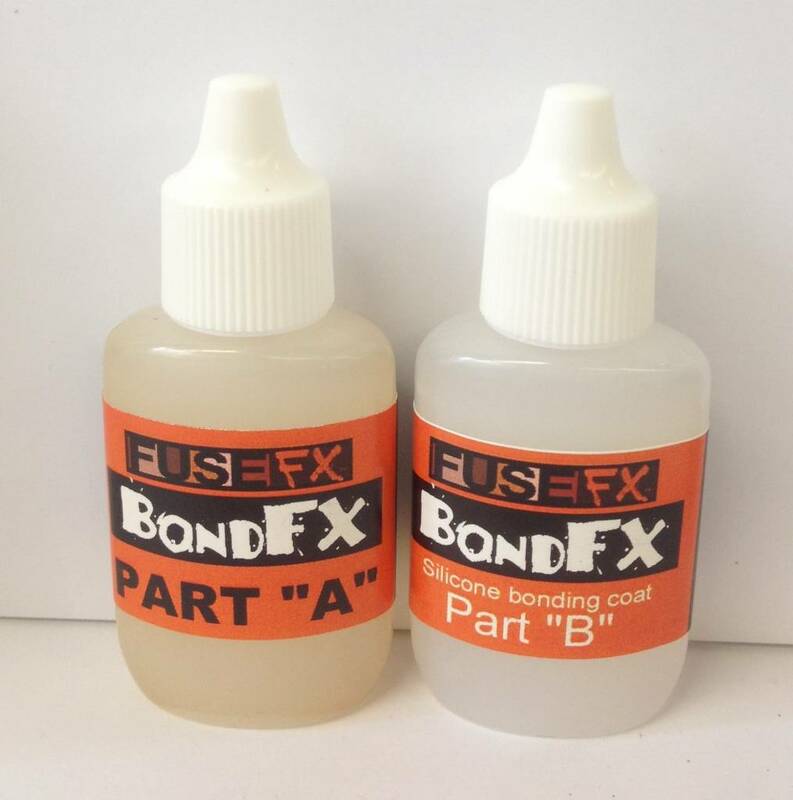 BondFX for surface preparation Ã¯Â¿Â½Ã¯Â¿Â½Ã¯Â¿Â½ You can now pour Platinum Based Silicone in a Tin Based Silicone mold. For best results, FuseFX Royal JeL-E should be used as a mold release. 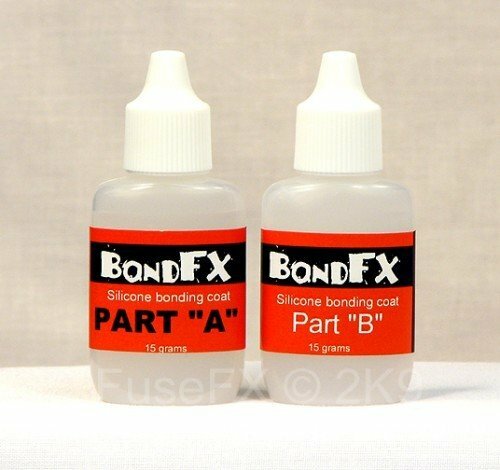 Bond FX for repainting silicone masks Ã¯Â¿Â½Ã¯Â¿Â½Ã¯Â¿Â½ use as a "clear primer" for repainting soft silicone over-head masks. BondFX silicone encapsulator Ã¯Â¿Â½Ã¯Â¿Â½Ã¯Â¿Â½ use to encapsulate silicone gel filled appliances. 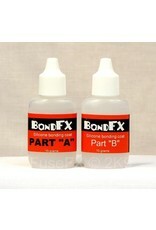 BondFX for repairing seams in silicone Ã¯Â¿Â½Ã¯Â¿Â½Ã¯Â¿Â½ great for repairing seams in silicone.